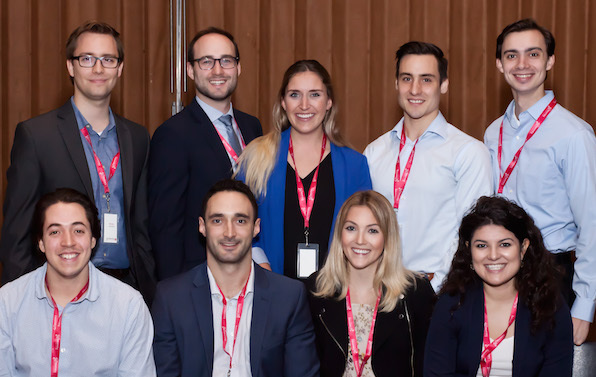 In partnership with Dalhousie University’s Rowe School of Business, Creative Destruction Lab Atlantic offers MBAs a chance to gain real-world exposure to fast-growing and high-potential startups. And for David Hatcher, who completed his MBA in April 2018, the elective even led to a full-time job. One of 18 second-years to take advantage of the school’s inaugural offering following CDL’s December 2017 launch of an Atlantic branch, Hatcher says he got involved because he wanted to work in the “technology startup ecosystem”. On the startup side, Hatcher worked with Jaza Energy, a technology firm bringing solar energy to off-grid African communities. He says he was able to add plenty of value to Jaza by leveraging his MBA learning, as well as the experience he gained during an earlier eight-month corporate residency with dual-listed kids’ entertainment giant DHX Media. Says Hatcher, “That’s everything from who to hire for key positions and how to develop key relationships with suppliers, customers and advisors – to which vertical to launch in”. Among the business leaders Hatcher met was serial entrepreneur Jevon MacDonald (pictured right), who co-founded Halifax incubator Volta Labs and has built companies in Halifax, Toronto, Texas and Silicon Valley. The two hit it off, and Hatcher is now working at Internet-focused startup Manifold.co, a MacDonald venture. Student Paul Best spent the winter term working remotely with Seaformatics Systems, a startup in St. John’s that allows people to charge phones and other devices with wind and water energy. Best, who began his first business at age nine, says he’s always been very interested in entrepreneurship and startup culture – and that CDL-Atlantic helped him better understand the pressures startups work under. Student Priyanka Kochhar, meanwhile, worked with two startups during the winter semester, one being Halifax-based Harbr, a company that increases project transparency for retailers and real-estate developers. Working out of Harbr’s offices weekly, alongside the company’s VP Marketing and its COO, Kochhar “got to do a lot more, and have many different roles,” compared with both her pre-MBA job with a large company, and her own eight-month-long corporate residency with Scotiabank, in Toronto. 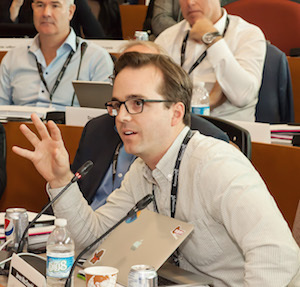 The Rowe School of Business serves as the hub for the Atlantic offshoot of CDL, which Rotman School of Management started in 2012 as a seed-stage program for scalable technology and science-based startups. CDL has expanded also to Vancouver, Calgary, Montreal and New York, while CDL companies have generated more than $1 billion in equity value. Beyond Atlantic Canada, past and present CDL mentors include the founders of WIND Mobile, Kik and Kobo, as well as companies bought by Microsoft and Amazon. Besides benefitting from the students’ brains, CDL plugs startups into support from faculty experts across the universities. In Dal’s case, these experts include science and engineering professors. Dal’s version also plugs students into a powerful network of accomplished entrepreneurs and investors. 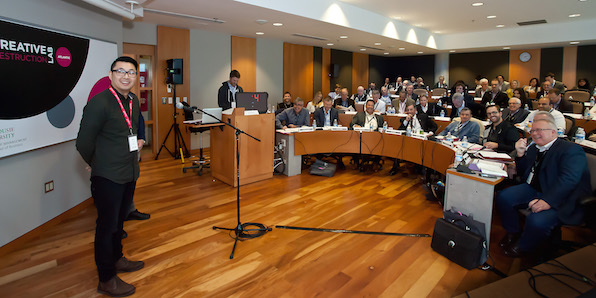 In addition to Rowe, Risley and MacDonald, CDL-Atlantic mentors include Chris Huskilson, the former CEO of $4 billion energy group Emera; Clarke Inc. executive chairman George Armoyan; Numus Financial CEO Wade Dawe; automotive sales king and former president and CEO of Newcap Radio Rob Steele; and former CEO and president of Lawtons Drugs Rob Sobey. As well as a general stream, CDL-Atlantic has a specialty stream for ocean agri-food and clean technology companies – playing to Dal’s strengths in these sectors and its close relationships with the on-campus Ocean Frontier Institute, and the nearby Centre for Ocean Ventures and Entrepreneurship.